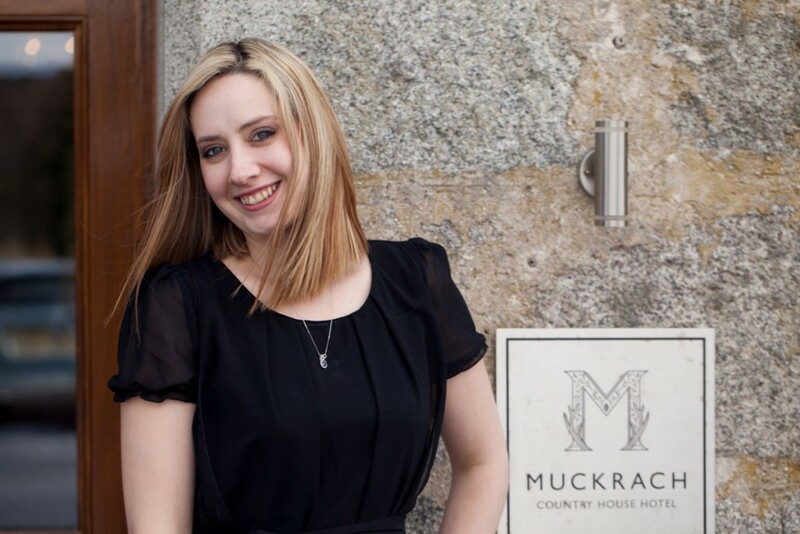 Meet Lynika Muller, Muckrach’s lovely Weddings & Events Manager. At 26, Lynika brings a wealth of wedding, event and hospitality knowledge to the hotel. Originally from Durban in South Africa, Lynika came to Scotland to follow Love! “Rayner (Head Chef and Hotel Manager of Muckrach) and I had been dating since I was 14 (high school sweethearts), he came over to Scotland to get experience in his chef-ing career and I came over a year later to take him back home but it back fired as I fell in love with Scotland’s charm”. Since October 2009 Lynika has been in Scotland and started in a temporary position at the Glenmoriston Town House Hotel as a General Assistant where she loved seeing the brides on their wedding day. Lynika moved to the Best Western Inverness Palace Hotel as a full time Receptionist in November 2009, growing within this role, Lynika had become Reception Manager within 2 years and 2 years later was promoted to the Events & Groups Sales Manager. New challenges arose in 2015, as Rayner’s role moved to Muckrach and they had to move their family home. Lynika became the Guest services Manager at the Macdonald Aviemore Resort. By August 2015, we had recognised the skills that Lynika had to offer and she started at Muckrach. If you’d like to choose a Scottish Highland wedding, we’d love to welcome you to Muckrach Country House Hotel and help to make your wedding day memorable. Muckrach is a Victorian Shooting Lodge set in 10 acres, surrounded by Pastureland. With 13 bedrooms individually designed and public rooms decorated in Victorian Grandeur with a contemporary twist. Your wedding setting will be every bit as magical as the journey you will begin as a married couple. Your wedding co-ordinator, Lynika will help you along the way to ensure that your day is as special as you are. From Runaway weddings to grander affair, whether Mr & Mrs, Mr & Mr or Mrs & Mrs; Muckrach offers a beautiful Highland setting.